We know you'll love this	20cm copper rondeau	as much as we do. Best Little Buy This stunner is the perfect size for a couple cooking for two. Motto "Inherit Tin Lined buy Stainless Steel"
950 customers found this review helpful. Did you? Yes, I did! New to Falk I have just purchased several pans from Falk. 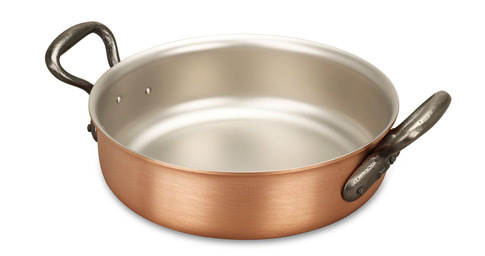 This is actually the first copper cookware I have bought. The quality of all products is excellent and I am sure that I will have many years of enjoyment. I will be purchasing more, very pleased with delivery and overall service. 915 customers found this review helpful. Did you? Yes, I did! Very useful I love to prepare dinner for two in this copper rondeau! I recommend it! 826 customers found this review helpful. Did you? Yes, I did!